Atalos Hotel, Apartments & Suites is located in Kamari, just 200 meters from Kamari beach. Kamari is a seaside settlement, which lies about 10 km from Fira, the capital of Santorini. 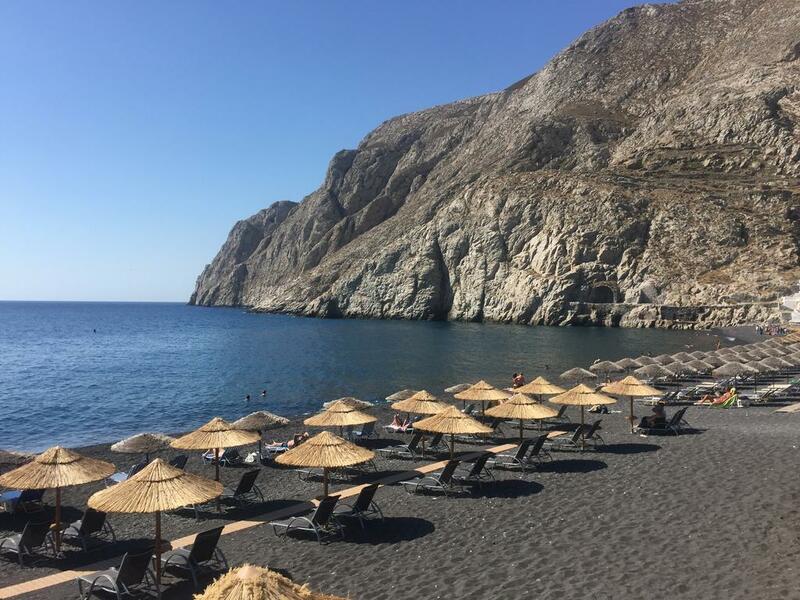 The Black sandy beach, has made Kamari one of the most popular travel destinations. This organized beach offers all the appropriate infrastructures in order to enjoy your favorite water sport. Along the coastal road you will find many restaurants, taverns, bars and cafes that satisfy all preferences. Kamari has many hotels, studios and apartments, which offer a pleasant accommodation. From Kamari, you can easily approach the region of Ancient Thira and see the impressive findings.